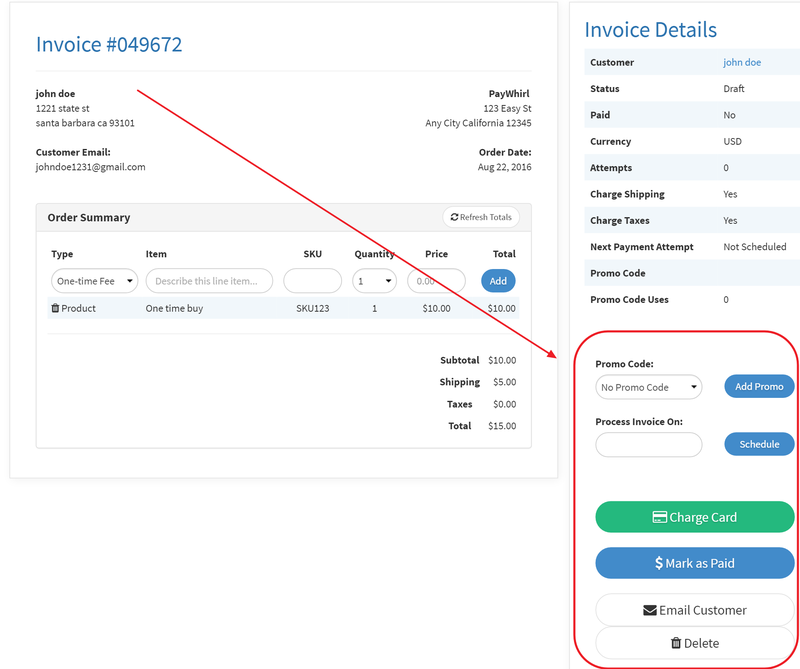 If you need to create a one time payment for a customer you can use the Create Invoice feature. 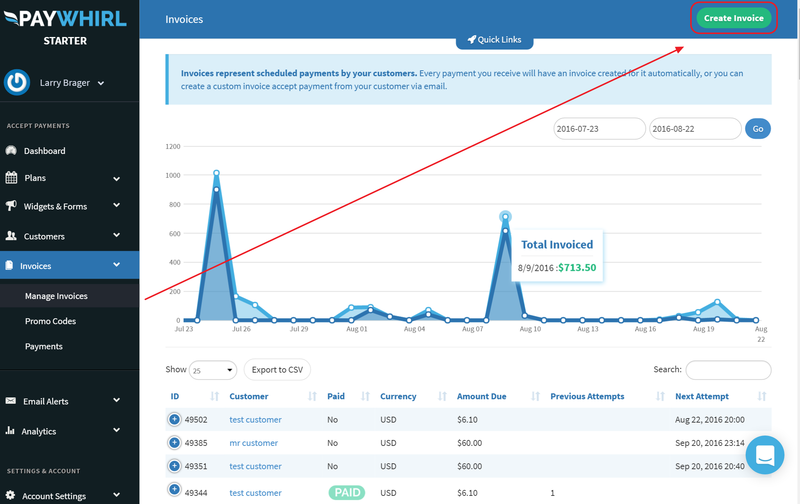 To start click on Manage Invoices in the PayWhirl Sidebar. 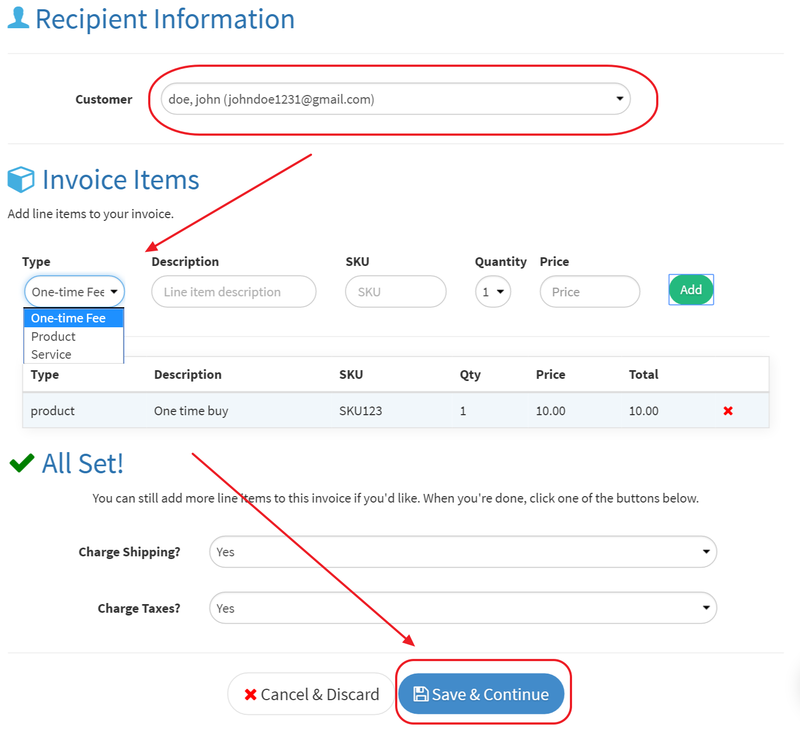 Then click the Create Invoice at the top right corner. Now select the customer and create the charge. Depending on what its for it could be a product, service or a fee. Once you click 'Save and Continue' you will be able to schedule the charge, send it to the customer or bill them immediately.